WordPress gets a new and nice plugin! Though it aint cheap I can see lots of people liking how this changes the way they use WordPress. via Introducing Carrington Build | alexking.org. I’m not sold on Tumblr or Posterous. If they succeed good luck to them, bit I think in the long run, WordPress and Automattic have the edge! What’s the attraction? A less bloated back end (there’s pills for that) without multiple features you never use. An end to the barrage of spam comments that plague WordPress – Posterous is free of those, for now. And a service designed to be so email-post friendly that you never even need to login at your desktop; I post everything to my trial Posterous blog from my phone. Photos, videos, text docs, even spreadsheets – if you can email it, you can blog it from your phone. I’m converted. 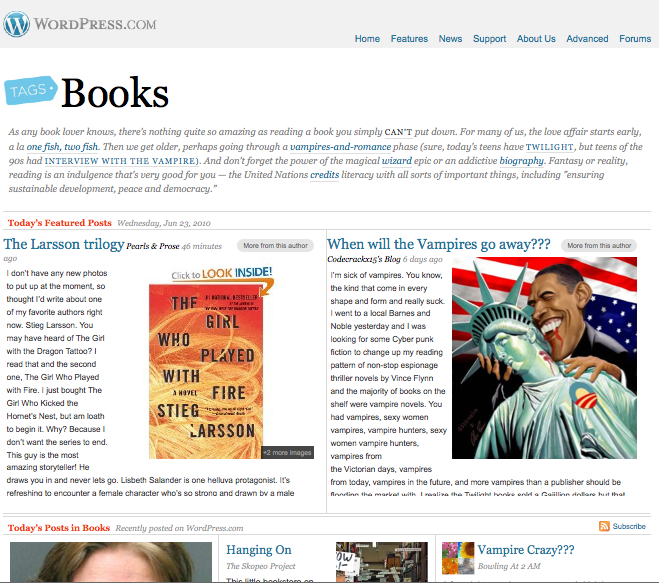 via Waging war on WordPress: Posterous prepares the switch | Media | guardian.co.uk.